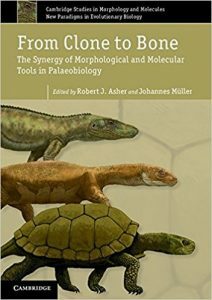 From clone to bone: the synergy of morphological and molecular tools in palaeobiology. Featuring contributions from leading researchers, this volume provides perspectives on how molecular biology can inform paleontology, directly and indirectly, to better understand life’s past. Paleobiological questions such as genome size, digit homologies, genetic control cascades behind phenotype, estimates of vertebrate divergence dates, and rates of morphological evolution are addressed. This title is not held in stock but we are happy to supply on special order. Please contact us. Vertebrate palaeontology is a lively field, with new discoveries being reported every week. This new edition reflects the international scope of vertebrate palaeontology, with a special focus on exciting new finds from China. Completely revised, the cladistic framework is strengthened, and new functional and developmental spreads are added. Study aids include: key questions, research to be done, and recommendations of further reading and web sites. 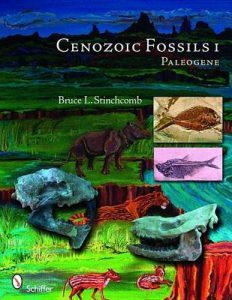 The book is designed for palaeontology courses in biology and geology departments. It is also aimed at enthusiasts who want to experience the flavour of how the research is done. The book is strongly phylogenetic, and this makes it a source of current data on vertebrate evolution. Fossil insects: an introduction to palaeoentomology. Artist/Author: Penney, David, et al. The fossil record of insects is incredibly diverse in terms of taxonomic scope, age range (Devonian to recent), mode of preservation (amber and rock) and geographical distribution (fossil insects have been recorded from all continents, including Antarctica). 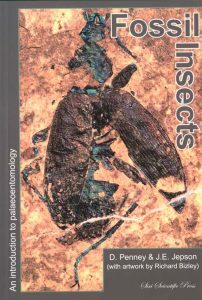 In Fossil Insects the authors aim to help bridge the palaeontologyentomology gap by providing a broadly accessible introduction to some of the best preserved fossil insects from a wide range of deposits from around the globe, many of which are beautifully illustrated by colour photographs. Also covered are insect behaviour and ecology in the fossil record, sub-fossil insects, trace fossils and insect species longevity. Open this book and take an excursion through the fossil world of the first half of the Cenozoic Era–the Age of Mammals. Over 370 color photos detail the fossil record of this bygone age from small sea creatures to the lumbering rhinoceros, Subhyracodon occidentalis, and rare fossilized bats. The engaging text outlines this fascinating period of geologic time and famous sites including Florissant, Colorado, and Grube Messel, Germany. Collectors will recognize specimens from the Green River Formation and the Oligocene White River Group, and intriguing fossils from lesser-known Early Cenozoic localities around the globe are also shown. Enthusiasts will enjoy the wide range of fossils on display, both accessible fossils any collector might hope to acquire and elusive “trophy” specimens from this era of Earth’s history. 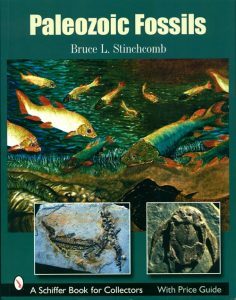 Explores the rich fossil record of the Paleozoic Era, from the Cambrian (545 million years ago) through the Permian (almost 300 million years ago) with 650 high quality color photos and detailed, highly readable text. Following his successful work on the earliest fossils, the author now starts at that time in earth’s history when life blossomed into a variety of body plans (phyla), and explores the successive periods of the Paleozoic Era. These include the Cambrian; the early, mid-, and late Ordovician; the Silurian and Devonian with their numerous marine fossils and some of the earth’s first land plants and early fish; the diverse land plants and peculiar marine life of the Carboniferous (Mississippian and Pennsylvanian periods); and the fossils of the Permian, including many fossils of life forms that would go extinct in the worlds greatest extinction event. This is a great book for fossil hunters of all ilks and anyone interested in the early remnants of life. Those who collect or trade fossils will find a useful guide to the values of the fossils. 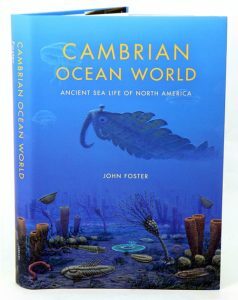 Cambrian ocean world: ancient sea life of North America. Aimed at the general reader, this book presents the life and times of the amazing animals that inhabited Earth more than 500 million years ago. During this critical time in Earth’s history nearly every modern group of animals appeared. Although life had been around for more than 2 million millennia, Cambrian rocks preserve the record of the first appearance of complex animals with eyes, protective skeletons, antennae, and complex ecologies. The cascade of interaction led to an ever-increasing diversification of animal body types. By the end of the period, the ancestors of sponges, corals, jellyfish, worms, mollusks, brachiopods, arthropods, echinoderms, and vertebrates were all in place. The evidence of this Cambrian “explosion” is preserved in rocks all over the world, including North America, where the seemingly strange animals of the period are preserved in exquisite detail in deposits such as the Burgess Shale in British Columbia. Cambrian Ocean World tells the story of what is, for us, the most important period in our planet’s long history. Dinosaurs and other reptiles from the Mesozoic of Mexico. Artist/Author: Rivera-Sylva, Hector E., et al. Presents an overview of dinosaur discoveries in Mexico that synthesizes current information about the geography and environment of the region during the Mesozoic when it was the western margin of the ancient continent of Pangea. 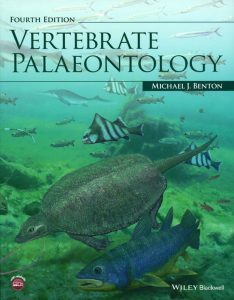 The book summarizes research on various groups, including turtles, lepidosauromorphs, pleisosaurs, crocodyliforms, pterosaurs, and last but not least, dinosaurs. In addition, chapters focus on trackways and other trace fossils and on K/P boundary (the Chicxulub crater, beneath the Gulf of Mexico, has been hypothesized as the site of the boloid impact that killed off the dinosaurs). 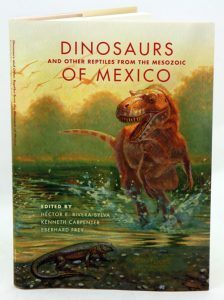 Dinosaurs and Other Reptiles from the Mesozoic of Mexico is an up-to-date, informative volume on an area that has not been comprehensively described until now. 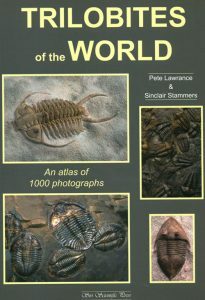 Trilobites of the world: an atlas of 1000 photographs. Artist/Author: Lawrance, Pete and Sinclair Stammers. Dominating the early oceans of the world, Trilobites are extinct arthropods that evolved into a bewildering array of different forms. Fossil trilobite remains are found on every continent. This book shows some of the best preserved, complete examples from many different countries and includes specimens collected from many classic old localities. This book will appeal to everybody interested in trilobites, from academics to fossil enthusiasts and collectors, who will all enjoy the sheer beauty and variety of the trilobites illustrated. This book features almost 700 species, illustrated by 1,000 colour photographs. Fossils of the Carpathian region. Artist/Author: Fozy, Istvan et al. This title is not held in stock but we are happy to supply on special order. Please contact us. 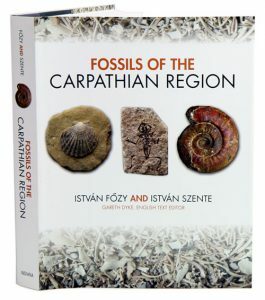 Istvan Fozy and Istvan Szente provide a comprehensive review of the fossil record of the Carpathian Basin in modern-day Hungary. This book describes and illustrates the region’s fossils, recounts their history, and tells the stories of key people involved in paleontological research in the area. In addition to covering all the important fossils of this region, special attention is given to rare finds and complete skeletons. The region’s fossils range from tiny foraminifera to the huge Transylvanian dinosaurs, mastodons, and mammals. The book also gives non-specialists the opportunity to gain a basic understanding of palaeontology. Sidebars present brief biographies of important figures and explain how to collect, prepare, and interpret fossils. For 150 million years the skies belonged to the pterosaurs. These flying reptiles, which include the pterodactyls, shared the world with the nonavian dinosaurs until their extinction 65 million years ago. Some pterosaurs, such as the giant azhdarchids, had wingspans exceeding thirty feet and standing heights comparable to modern giraffes. This richly illustrated book takes an unprecedented look at these astonishing creatures, presenting the latest findings on their anatomy, ecology, and extinction. After decades of mystery, palaeontologists have finally begun to understand how pterosaurs are related to other reptiles, how they functioned as living animals, and, how, despite their size, they managed to become airborne. Here you can explore the fossil evidence of pterosaur behaviour and ecology, learn about the skeletal and soft-tissue anatomy of pterosaurs, and consider the newest theories about their cryptic origins. This one-of-a-kind book covers the discovery history, paleobiogeography, anatomy, and behaviours of more than 130 species of pterosaur, and also discusses their demise at the end of the Mesozoic. 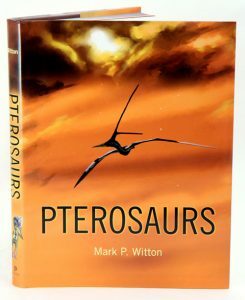 The most comprehensive book on pterosaurs ever published. In this engrossing and accessible book, Macdougall explores the causes and effects of ice ages that have gripped our planet throughout its history, from the earliest known glaciation to the present. Following the development of scientific ideas about these dramatic events, Macdougall traces the lives of many of the brilliant and intriguing characters who have contributed to the evolving understanding of how ice ages come about. As it explains how the great Pleistocene Ice Age has shaped the earth’s landscape and influenced the course of human evolution, Frozen Earth also provides a fascinating look at how science is done, how the excitement of discovery drives scientists to explore and investigate, and how timing and chance play a part in the acceptance of new scientific ideas. Macdougall describes the awesome power of cataclysmic floods that marked the melting of the glaciers of the Pleistocene Ice Age. He probes the chilling evidence for “Snowball Earth,” an episode far back in the earth’s past that may have seen our planet encased in ice from pole to pole. He discusses the accumulating evidence from deep-sea sediment cores, as well as ice cores from Greenland and the Antarctic, that suggests fast-changing ice age climates may have directly impacted the evolution of our species and the course of human migration and civilization. 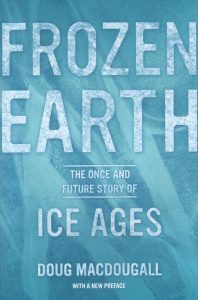 Frozen Earth also chronicles how the concept of the ice age has gripped the imagination of scientists for almost two centuries. It offers an absorbing consideration of how current studies of Pleistocene climate may help us understand earth’s future climate changes, including the question of when the next glacial interval will occur. 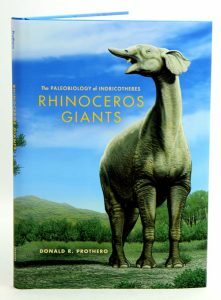 Rhinoceros giants: the paleobiology of the Indricotheres. Introduces a prime candidate for the largest land mammal that ever lived – the giant hornless rhinoceros, Indricotherium. These massive animals lived in Asia and Eurasia for more than 14 million years, about 37 to 23 million years ago. They had skulls 2 metres long, stood over 7 meters high at the shoulder, and were nearly twice as heavy as the largest elephant ever recorded, tipping the scales at 20,000kg. In this book for lovers of ancient creatures great and small, Donald R. Prothero tells their story, from their discovery by palaeontologists just a century ago to the latest research on how they lived and died, with some interesting side trips along the way.